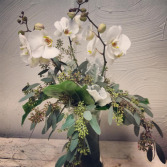 Although every arrangement at Homewood Flowers is a Custom Design, you, as the customer, sets our parameters. 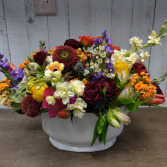 We only use the freshest and finest flowers, imported from Holland and South America. 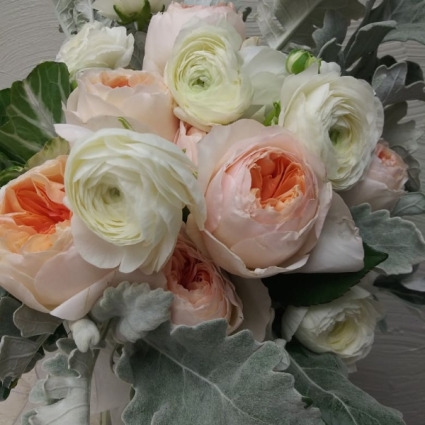 Garden Roses and Rannunculus softened by Dusty Miller. Choose your color palette. 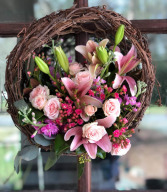 12" open door hanger wreath.